"The Chronic Care Model of Co-Occurring SUD Mental Health"
“The Chronic Care Model of Co-Occurring SUD Mental Health"
3) To identify three advantages of the chronic care model over common acute treatment approaches. Addiction was redefined by the American Society of Addiction Medicine (ASAM) as a primary, chronic disease of brain reward, motivation, memory and related circuitry in 2012 . But it has yet to be treated like other chronic diseases. Even the CDC Chronic Disease Overview webpage does not list addiction as a chronic disease. In the United States, according to the Center for Disease Control and Prevention (CDC), chronic disease is the major cause of death and disability (2016). In 2015, addiction became the leading cause of accidental death in the US, with 52,404 lethal drug overdoses . Treatment modality debates in addiction and mental health seem to also overlook lessons from the chronic disease treatment model, that the life of a patient afflicted with a chronic disease is irreversibly changed. Like any chronic disease, addiction and its consequences in a patient’s life create a continuous relapsing pattern when it is not managed. Medication alone for chronic diseases such as heart disease, cancer, stroke, chronic obstructive pulmonary disease, and diabetes was not enough, yet Medication Assisted Treatment (MAT) has been pushed by insurance and governmental entities to address the opiate epidemic through the Drug Addiction Treatment Act of 2000 (DATA 2000) and the Comprehensive Addiction and Recovery Act (CARA) in 2016 . There are five chronic disease models currently used in seems to be a higher probability of involvement, coordination the US. Chronic Care Model (CCM), Improving Chronic Illness and continuity with the addiction treatment provider, though Care (ICIC), and Innovative Care for Chronic Conditions (ICCC), integration is still lacking. Stanford Model (SM) and Community based Transition Model (CBTM). CCM is the most studied. A meta-analysis of chronic disease models by Grover and Joshi  found that management of chronic disease requires that patients take a more active role in the day-to-day decisions about the management of their illness. They found that CCM addressed the problem with the current care being“reactive and triggered by actual problems instead of being proactive, structured and planned.” Addiction requires the same proactive, structured and planned approach in dealing with the inevitability of relapses occurring. Relapses should be not be treated as a failure of treatment, but as a condition associated with the chronic nature of addiction. 2. American Society of Addiction Medicine (nd). Opiate Addiction 2016 Facts & Figures [Brochure]. 3. Bodenheimer T, Lori K, Holman H, Grumbach K. (2002). Patient Self Management of Chronic Disease in Primary Care. JAMA 288(19):2469-2475. Melinda Drake joined Insight Health and Wellness to develop a truly integrated behavioral health system addressing the chronic nature of addiction and mental health illness. This talented treatment professional has spent much of her career in behavioral health jobs at state agencies and nonprofits, on both the business and service side, overseeing programs and advocating and innovating on behalf of children and families. Dr. Drake has more than 20 years of experience as a social worker clinician, program director, clinical director and executive director. Not one to sit back and watch, she always takes advantage of opportunities to improve treatment programs and processes, whether through writing grants or expanding programs to serve as models for other organizations. Throughout her career, she has always served others with compassion and care. Melinda studied at the University of South Carolina in Columbia and Limestone College, both in South Carolina, and at the University of the Philippines. A lifelong learner, she earned a master’s degree in social work in 1997, followed by a doctorate in business administration in 2000 and then another master’s degree, this time in computer resources and information management, in 2003. Originally from the Philippines, Melinda arrived in New York when she was 17. Her work experience in the behavioral health field began with the Williamsburg County Department of Social Services and Continuum of Care. While working on the business side of social services, Melinda found it hard to watch foster children moved from one place to another, carrying their belongings in garbage bags. It inspired her to write her first grant, which she received. That experience motivated her to become a social worker. Melinda also worked with co-occurring psychiatric and developmental disorders at Willowglen Academy in South Carolina which provides residential, and day treatment services. 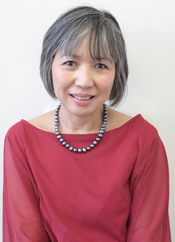 At Willowglen, she initially acted as a clinician involved with day-to-day interventions, then as a program director for the day treatment, as a clinical director and, finally, as an executive director from 2007 to 2009. She was the director of outpatient services at The Canyon at Santa Monica from 2013 and became the dual director, overseeing Foundations Los Angeles at Encino and The Canyon at Santa Monica from 2016 to 2017.